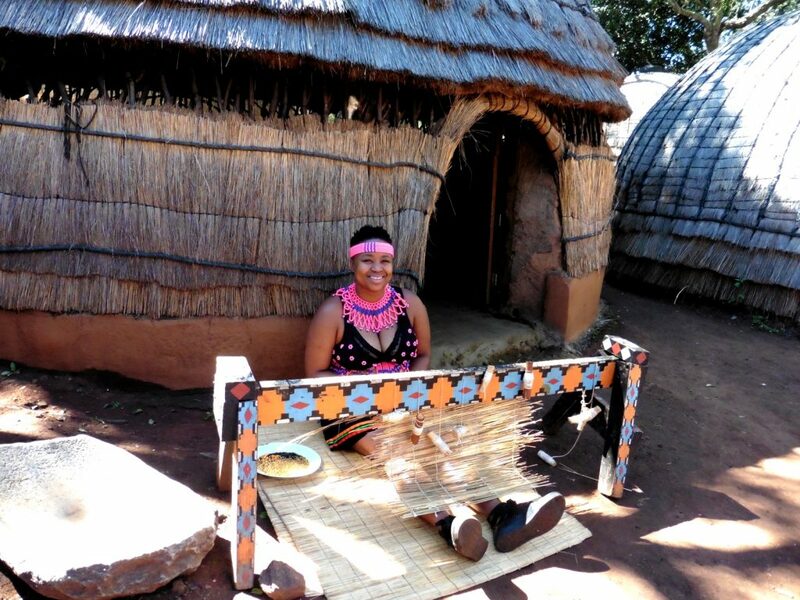 After an incredibly enlightening but very sobering visit to Soweto and Johannesburg yesterday, today we enjoyed an uplifting and joyous visit to Lesedi Cultural Village. 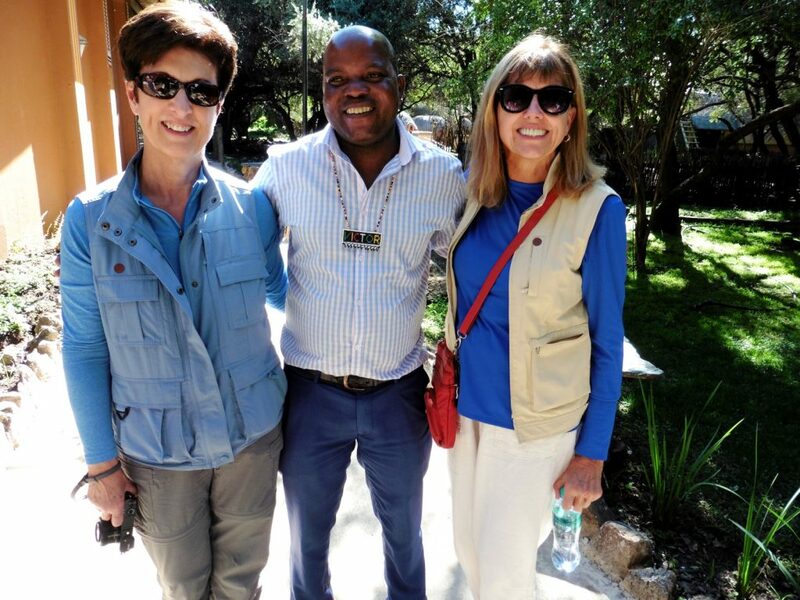 Victor, our wise and knowledgeable tour guide, provided amazing insight and information about African history and culture on the three-hour round-trip ride to and from the village. We felt so fortunate to be able to talk with him about his experiences growing up in South Africa. 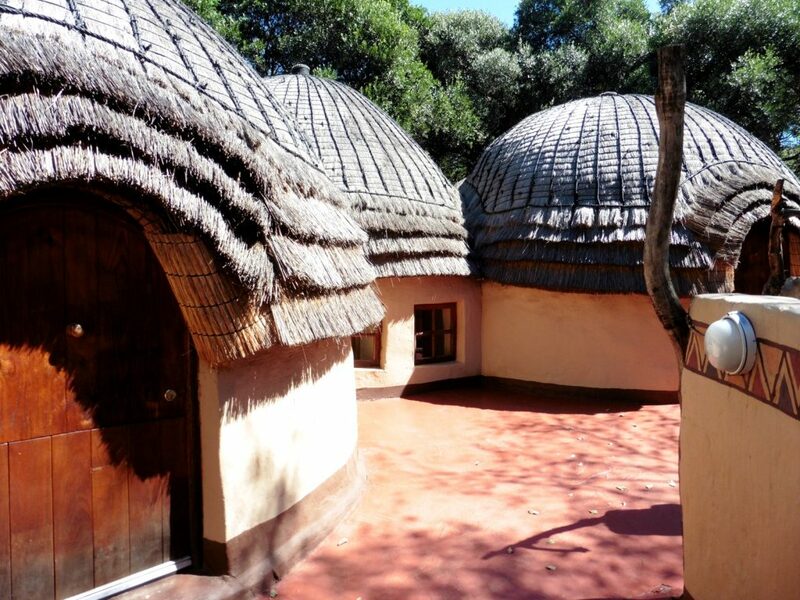 Located in the Cradle of Humankind World Heritage Site, the Lesedi Cultural Village is composed of traditional homesteads inhabited by the Zulu, Xhosa, Pedi, Basotho and Ndebele tribes who live according to tribal folklore and the traditions of their ancestors. Nelson Mandela was a member of the Xhosa tribe. Young men in tribal dress greeted us with song and music as we entered the village. 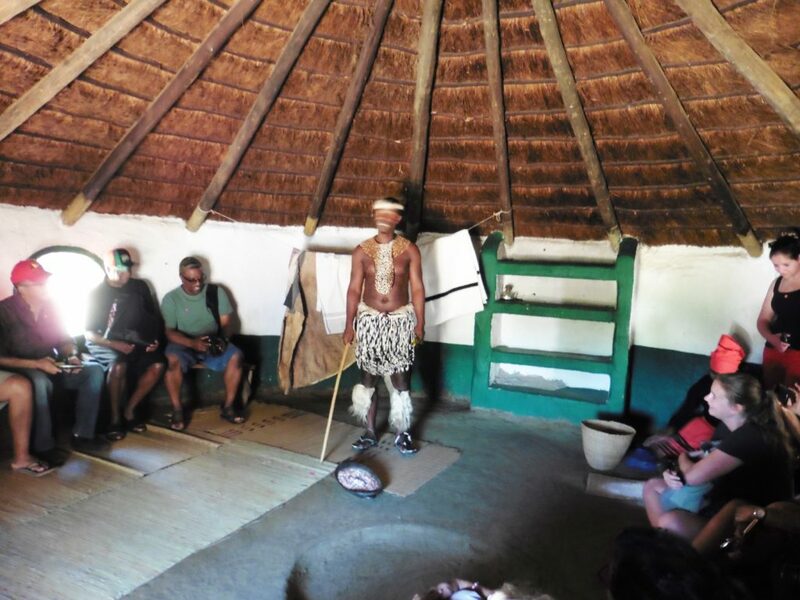 Before going to the villages, our Zulu guide gave us a brief African tribal language lesson and history of the tribes. Zulu and Xhosa languages incorporate a clicking sound which made it a bit challenging to repeat the words he taught us. 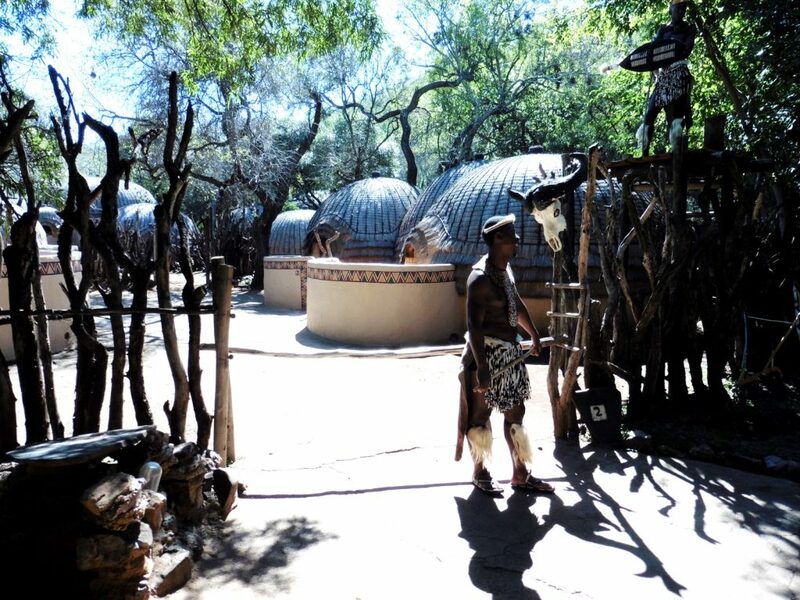 The Zulu village was our first stop. 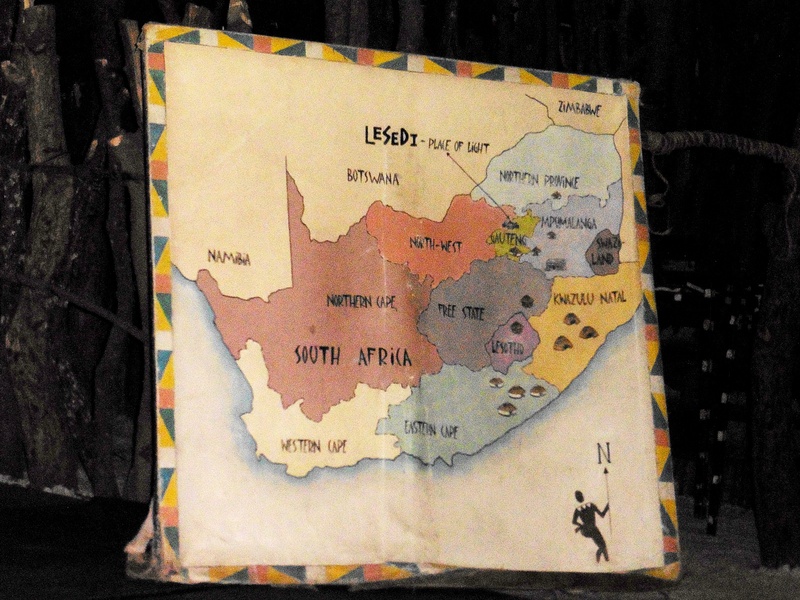 The Zulu are the largest ethnic group in Southern Africa and were known as a powerful people. 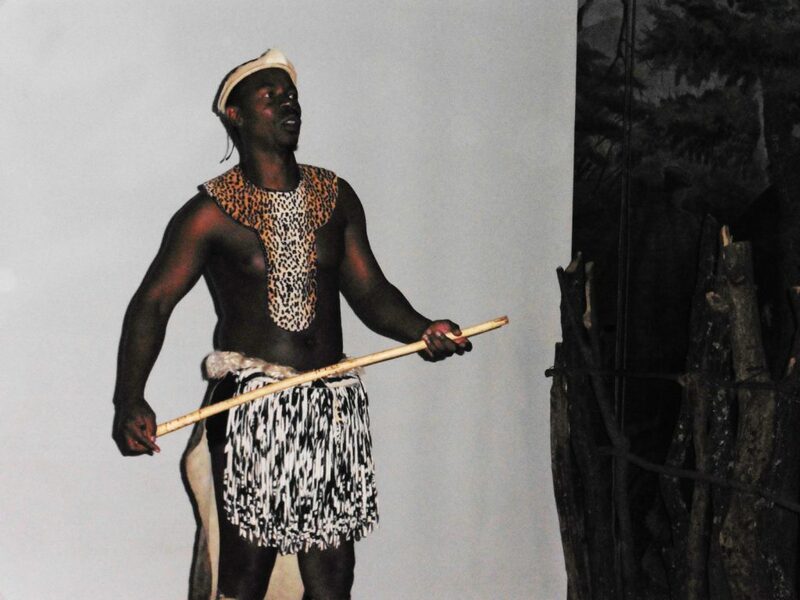 Our Zulu guide demonstrated how visitors would safely enter a Zulu village. After we received permission to enter, the gates were opened and we went in and toured the village. In each village, tribal members in native dress demonstrated daily activities like weaving straw mats, grinding corn and carrying water in head-top containers. In one of the villages, we went inside the one of the dwellings. A traditional African dance show was a powerful ending to our delightful visit. This entry was posted in Africa 2018 on April 25, 2018 by debbie.